I think we all had Russia pencilled in as our semi-final opponent today, but somehow Switzerland upset Russia and had the pleasure of taking us on. No problemovitch. It was a fairly easy victory for Team Canada as we earned a berth in our 9th World Junior Hockey Championship final in a row. We'll be playing for our sixth straight gold medal. Now that's dominance. 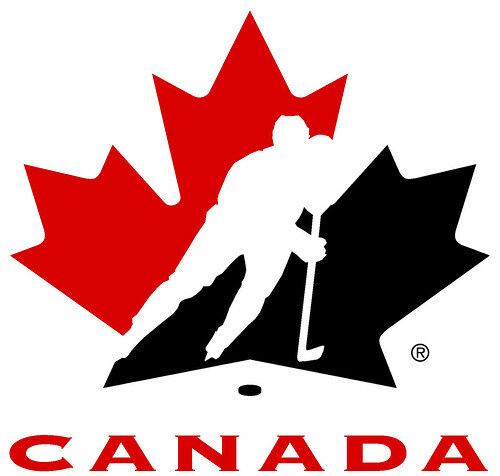 The final takes place Tuesday night at 8pm against either Sweden or the USA. Bring it on. STOP THE CHEER Facebook Group - Why should a huge corporation decide how we cheer for our team, our country? Have you seen the ads on TV, or the sad attempts to get the new hockey cheer going at the World Juniors? I say we can't be bought and neither should a spot in the hall. Let’s show them our Canadian pride and get more support – the race to 1 million is on. Join the cause! Share your Canadian pride with everyone you know. GO CANADA GO!